Do you like the idea of becoming a Natural Hair Salon and Training School/ Academy? If yes, why not become part of us by investing in the World of Braiding Affiliate Programme? Did you know that 80% of the world populations are people of colour – Africa, Asia, Latin America and the Caribbean and yet hair textbooks, Cosmetology/ Hairdressing colleges and scientific understanding of hair – structure and function comes from research that has been done mostly on Caucasian hair type? This is a huge opportunity to get into the black hair industry as was proved by Madam C J Walker (1867-1919) when she became the first black woman millionaire from black hair beauty. Population – In USA Black Americans totalled 38,929,319 as at 2010, in UK 1,148,738 as at 2001, in Africa 1,022,234,000 as at 2010 etc etc. Revenue – In UK 2004, the Black Hair industry was worth £60million. South Africa in 2002 it was $90million, USA in 2008 it was $14.7billion By 2013 it is estimated to turnover $4.2trillion in the USA alone. Black women spend 6 times more than all other races on their hair care. Yet the Black hair industry lacks professionalism, the least developed, the least understood, the least studied, the most damaged and the most uncared for. You will not only become a Natural hair artist and have the skill to design and be creative with all hair types; you will also be a natural Afro hair specialist – providing care, understanding and maintenance for this hair type. In addition to this, you will be trained to become a trainer to start training students in your neighborhood with our full backing and support. You will become a World of Braiding School and start registering students for training and we will guide you through the whole process. When you buy into our knowledge, experiences and wealth of information, you directly work with us to gain hands-on knowledge, skill and everything that you will need to get you into the business of natural hair, braid designing and training. You will not deal with the complicated teething problems of starting your own natural hair business as you will become our Natural Hair Consultant Affiliate and will simply become us in your chosen location. You are now a part of our growing business and we will bring everything we know to you – braiding skill, training, marketing, product sales, training materials sales etc. World of Braiding was created in 2007 by Director Joy G Phido when she saw the huge gap caused by lack of attention given to the natural black hair when compared to other hair types and the poverty seen among hair practitioners who stands behind the clients all day with no financial incentive to show for all her efforts. She then had the clear vision – of providing professional high standards in natural hairdressing (designing and maintaining natural hair), education and customer service, whilst developing people to their full financial potential with clear business sense in natural hair industry. BUSINESS VISION: To help you prosper in the business of hair through Education, Information & Skills training. MISSION: To help you understand and maintain natural hair for your clients by making natural hair modern, professional and glamorous. As a dynamic, forward thinking company, World of Braiding does its best to provide quality, creativity and professionalism in all that we do. By constantly pushing boundaries and evolving, we share our dreams with everyone who work with us and we want you to come and join us dream bigger and better. World of Braiding is looking for business owners with or without experience. Our franchise is open to anyone that believes they have the desire, personality, creativity, flair, passion and business common-sense to fill a classroom and salon appointment books! Other important requirements are a great attitude and work ethic; a passion for interaction; a willingness to listen, learn and lead; and a desire to make your natural hair salon and training school the very best it can be, each and every day. Whatever your expertise and experience, if you are a dynamic individual, World of Braiding can fully train, assist and support you to start trading as profitably and quickly as possible. An investment of **£20,000.00 for first year of personal training, skills and getting you into the business. Second year an investment of **£10,000.00 to become a Full Franchise owner. Third year and thereafter £500 yearly administration fee. The World of Braiding Operations team will provide continuous on-going support throughout the lifetime of your franchise. This includes telephone /skype monitoring contacts and bi-monthly 1-2-1 meetings at Director level. There are a number of steps you’ll take once you decide to buy a World of Braiding franchise and our dedicated support team will work with you each step of the way. In fact, we strive to be the best in the business at providing our franchise owners support. So, from the time you sign on the dotted line to the day your very own natural hair school and salon franchise opens World of Braiding will be there to simplify opening and operating your own business. Of course we do not stop once your school and salon is open. 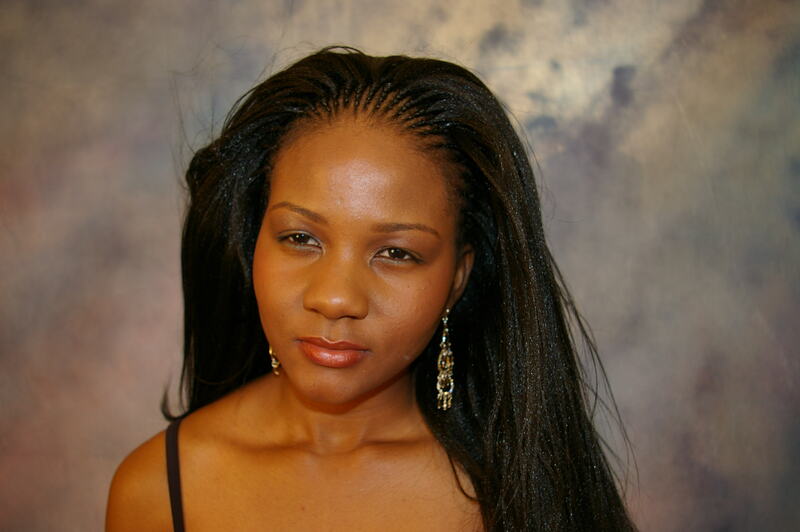 We will provide support and guidance as long as you are a World of Braiding franchise owner. We understand the importance of having the right training, the right tools, and the right guidance to successfully manage your business. Our team of experts will give you the confidence and peace of mind to stay focused on your dream. World of Braiding Head Office will always provide support that covers your business dreams. OWN YOUR INTERNATIONAL ACCREDITATION WITH OUR HABIA CERTIFICATION. BRAND – everything we do must follow our brand philosophy. CLIENTS – every week more clients work with us as we are the very best in natural hairdressing services. Our desire is to serve more; our obsession is to do it better than anyone else and we will be teaching you this. SUPPORT – we pride ourselves in the support that we offer which you will also gain from. Our collective desire to become a global force in natural hairdressing requires a shared passion from all our team and we need to work with exceptional individuals like you who is determined to succeed, smitten by creativity and passionate about people. Joy Phido believes that in order to have a successful ‘creative’ business, its foundations need to be firmly set in a robust and ‘commercially viable’ business plan. To be good at your fingertips and creatively designing with your comb is simply not enough with business. This is why most black hair businesses do not survive as they are only seen as hobbies. This is what World of Braiding will change for you by supporting and guiding you on all your business aspects in our partnership salon & training school and we will be sure that you stay on your Business focus. Ongoing monitoring and support of your business, etc etc. **This unique Franchise offer ends 31/12/15 and this investment price is for UK and Europe affiliates only** For international offers, contact us.